With the school year half over, now is the time to update or address any ongoing issues at school. You may also need to restock essential supplies, be it updated medications or safe treats for class celebrations. At this point of the school year, you probably have a pretty good idea of how your school is handling food allergies. If there can be improvements made, now is the time to say so. After all, teachers have now had an opportunity to see how often food is brought into the classroom, often with no forewarning. 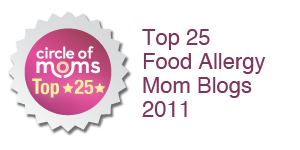 I hope you'll check out my Chicago Parent article about food allergies in the classroom. These tips can be used all year long. Check with the Health Office regarding meds. Are all of your child's medications up to date and unexpired? This can include epinephrine autoinjectors, of course, but also anihistamines and asthma medications. You will also want to make sure any new staff are up-to-date on medication usage. 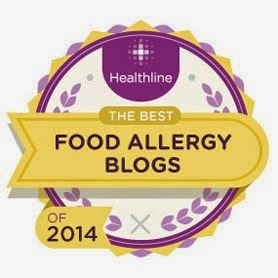 Are food allergy policies being followed consistently? Something tells me I'm going to get a lot of mail on this point. :) By now you've had experiences in the classroom, both good and bad, that will alert you to what procedures are taking place. You may need to issue some reminders and just be aware of what goes on at parties and such. For example, I volunteer each year to send food to the classroom for my daughter's parties but others always send food at the last minute and guess what--it's usually unsafe. Other times, lunch room policies go by the wayside or class size prevents safe lunch-eating areas for allergic kids. If you notice any problems, now is the time to discuss your concerns with your child's teacher and/or school admin. Send in a new stock of safe treats. Even though our school doesn't allow b-day treats, sometimes treats are offered for unexpected rewards or celebrations. Ask your child's teacher to store some safe treats for your child to turn to if a surprise treat is offered at school. If your child is older, have them keep some packaged treats in their locker or backpack. Evaluate what is working and what isn't. You and your child's teacher and other admin if necessary may need to make some adjustments based on experiences you've had in the first half of the year. In fact, expect this because you can't know what every situation will entail. If you feel some things should be changed, don't delay in scheduling time to talk to your child's teacher or other school staff. A final word: a lot of people ask me what to do if schools don't "get" food allergies. Unfortunately, every school is different but one thing remains the same. You are your child's best advocate and if you really feel that something is endangering your child, please speak up. Some problems can't be solved overnight but opening a dialogue is a good first step. My sons school is thinking about becoming nut-free. I have problems with this, I think my son should be able to take peanutbutter or nutella sandwiches to lunch as he pleases but a couple of children at the school have severe allergic reactions to nuts, one has such a severe reaction that she could die. If the school decides to implement the policy then I will abide by it, I dont' need some child dying cos I stuck nutella sandwiches in my son's lunch box! BUT I do not understand how or why so many children have such a severe reaction to nuts nowadays, is it a new thing or is this problem just more out in the open than it used to be when I was younger? I also do not understand why the school has to STOP the consumption of nuts altogether? Are there not any other strategies they could employ to ensure the safety of the allergic children whilst still allowing my child the freedom to eat what he pleases? I mean when these children grow up they will have to deal with this problem because nuts are in everything!!! Why not teach them to deal with our nut filled world now, instead of teaching them that everyone else will deal with it for them? I may be more sympathetic if I had more info on it but right now I feel like I am being forced to deal with someone elses problem. I'm sorry that you don't understand why your child's school is becoming nut-free. There are very good reasons for this: cross contact, which occurs each time a child touches shared equipment in the classroom. Also, peanut butter is a sticky substance that gets everywhere. You may also have heard of the concept of lunch trading and food sharing. Young kids do this all the time. In the case of food allergies, this can be fatal. You say you don't understand why there are so many nut allergies.No one does; researchers are working on this problem. But does that mean that we don't adjust to them, just because we don't understand? A girl just died in Chicago at a class party because of the food served there. That will happen more unless people learn to adjust their thinking that food is more important than people. What if that were your child? You mention a child at your son's school that could die due to her allergy. That's my child. That's the child of many people following this blog. What if that was your child? Would you want compassion or rebellion from parents angry that your child has a medical condition they can't help having? Think hard before you answer. Your child DOES have the freedom to eat what he pleases--at your home and in any other venue in the world. Trust me, your child is not the limited one. Kids with food allergies must alter everything they do because of food, so you are not the one being discriminated against, I assure you. We are teaching our kids to live in a "nut-filled" world. 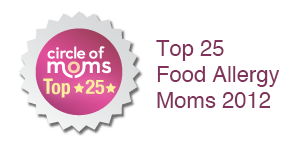 As parents, we teach them at age appropriate levels how to avoid foods. However, would you want your own, say, 5-year-old, responsible for his own life-threatening medical condition? We know better than anyone that nuts are in everything. Try living as though your child has a life-threatening nut allergy just for one day. It's not easy. I guess there are many things in life that are "forced" upon us that are other people's problems. Public servants, for example, are paid out of our tax dollars for "other people's problems." Disabled ramps and parking spaces are implemented because of someone else's problem. I'm sorry you don't have more compassion for kids who deal with this. Just be very thankful that your child doesn't because then you'd have to hear complaints, such as the ones you list, all because you'd like to keep your child alive and well to the best of your ability. Anonymous, this is a great opportunity to teach your child about compassion. Not everyone's disabilities are obvious. So, (for example) we teach our kids to be kind to a child in a wheelchair, to be patient with the classmate who is dyslexic. We can also teach them to be patient with kids who have allergies. (Imagine how horrible your child would feel if his lunch sent another kid into an allergic reaction!) I know its inconvenient, but its a great teaching moment. Thank you Jenny! As the tears roll down my face, as I look at my son and and think of the stuff that he has to deal with at his school every single day, I thank you. I often use this analogy when explaining to my non-nut allergic friends. Give your child a cup of pudding to eat and then don't wash his hands. See how many walls, toys, pieces of furniture, etc you find that pudding on. Then imagine that the pudding is really peanut butter and how easily it could contaminate an allergic child. Some allergies are worse than others and we often don't know how our child would react if he or she had an attack. But I know I don't want to find out. I am forced to trust virtual strangers with my child's life during the hours of school because I can't be there all the time to protect him. Having a nut free school would certainly calm my nerves a lot. But education is most important. To children, teachers and parents. This is what this blog does for me. It also teaches me. 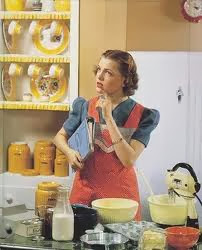 I just learned that just because a food label doesn't mention cross contamination doesn't mean there hasn't been. Reading labels isn't fun for me. I don't do it for kicks and giggles. I do it because I have to and knowing that just because something indicates it's safe doesn't mean that it is scares the crap out of me! I'm on edge every party, cook out, camp outing with friends and etc because I can't know for 100% what is in other people's food. My son can never go to a baseball game because of peanut shells. He will never be able to go into Dairy Queen. Things I always took for granted before. Life is about learning and I hope you learned something from this blog. And I want to say thank you for asking for the education. Maybe you will have more compassion for others with this lifestyle. Much better said than how I would've put it. I am close to breathing fire because of people like this. This world has turned into a world where people only think of themselves and no one else. What happened to compassion? What happened to understanding. Things were a lot different when I was a kid and it seems as though things have changed for the worse. Some parents feel "put upon" because they can't slap together two pieces of bread with some peanut butter 5 minutes before they head out the door in the morning. Like Jenny said spend ONE day living as though a simple "harmless" food could KILL your child and see how EASY that is to deal with. After all that's what it's about right? The ease of making a pb & j instead of sending an alternative. Or I don't know taking some time to accept the world doesn't in fact revolve around you. I really appreciate the comments above as I believe many parents feel this way they just aren't expressing it. As a parent of a child with a severe peanut allergy I also wish all the kids at school could have peanut butter - including my son. 2) There's a school in my district that has a peanut butter table instead of a peanut free table. Any student can bring peanut butter to lunch. All the kids bringing peanut butter sit at the same table. After lunch a teacher oversees all of these children washing their hands so that PB is not spread on door handles, playground equipment etc.. Think about how you would want things to be at school if your child was the one with the allergy. It's frightening to for any parent to have to take their child to the emergency room and parents of kids with food allergies have to do it quite often! It's take a village to raise kids and it takes the entire community to keep kids with food allergies safe. Well put Jenny! I know my daughter would never choose this, nor would she wish it on someone else. My 12-year-old daughter is allergic to coconut. My six year old who has no allergies has totally given up peanuts/peanut products out of respect for one of her best friends. Between her friend and her older sister she has become very good at reading labels. Too bad Ms. Anobymous can't take a lesson in food allergy respect from my 1st grader. My ten year old daughter wanted to share her feelings on this subject. I am a ten-year-old girl and have a peanut allergy. You are right the world wont take care of our problems for us. Honestly if my school didn’t allow nuts or peanuts, it would make me a lot happier and wouldn’t feel like the odd one out. In some ways I understand that your son wants to bring what he wants to school, but I see stuff that I want to eat all the time and I can’t. This is just one place where your son can’t eat what he pleases. Even though your son won’t be as happy with what he is eating, it will be so much better for the kids with allergies not having to worry about food issues. Jenny ~ I so agree with your commentary. My son is allergic to dairy, eggs, peanuts and tree nuts. He also is topically allergic to dairy, which makes life very challenging. I hear so often from mothers how challenging I make their lives. "Just one time wouldn't be a problem right?" or "Can't he just eat something else and not partake of it?" and "Maybe he could sit by himself." Really? If this was your child... would you want him/her to sit alone? Where has the compassion gone in our society? So many focus on how they have the short end of the stick, who essentially live "normal" lives. I'll leave you with a quote from a very dear friend of mine, "It's good to want things, it builds character." Annonymous, you seem like you are on the verge of understanding but remember, you may feel like you are dealing with someone else's problem now but there will likely be a time in your life where you, or a loved one of yours, will be someone else's "problem" too. Then you will hopefully be thankful that there are compassionate people to help you deal with the imperfections that life hands us. You can choose to be one of those kind and understanding people now or you can choose to be one of the people who add to the stress and misery that others are going through. The choice of the kind of person you want to be is up to you. I applaud this brave question as it is tough to be honest. I am sure a lesson has been learned here. My son is allergic to nuts, eggs, dairy, and wheat. Our school has 2 allergy tables in the cafe. I was once asked why I don't just home school him since I am a teacher. People can be so insensitive, but it comes from a lack of understanding. I know there are things going on in the world that I don't understand, asking questions is how we learn. We may think these questions are "dumb" or "rude" but it's a great opportunity to educate and bring more sensitivity to a difficult toppic. Your answers here are all great, I say keep the questions coming! I am a mom of a severe peanut & tree-nut 9 year old. He is also allergic to sesame, beef, and egg too. I am trying to get our school district to ban all nuts from all of the classrooms and I am getting resistance on this issue. I am okay with the nut-free lunch table, because it is well monitored and the aides make the kids wash their hands after lunch, but I am not at all comfortable with nuts in any other room within the school. My son had a near fatal anaphylactic reaction this year when a staff member left peanut-filled Christmas candy on her desk. My son was in her room and he ate the candy. I am so grateful and lucky that he was able to be treated at the ER and have the reaction reversed, but it was very close and a huge scare for us. We have a 504 plan, and lots of policies in place and it still happened. I am a huge proponent for banning all nut products in all rooms, except the cafeteria (I would love the whole school to be nut-free but I know that will never happen). In addition, I do not think that any outside food should be allowed in the classroom for parties, and all holidays. Valentine's Day, Halloween, and the Christmas party day are the worst. I won't send him if I can't be there. All it takes is one accident and my son's life could be over. At this moment, I am engaged in trying to change my school districts policy and I am hoping that the new law signed this past January (2011) by Obama will help my cause.